The first upgrade to make to your Audi S4 B9. If you use your S4 on a daily basis and are only looking to uprate one aspect of your car, you can’t do better than our Sport Springs. What’s not to like? No wonder it’s RacingLine’s best-selling product worldwide. The springs lower the S4 by 20-25 mm in order to preserve the wheel travel needed for perfect ride & handling. 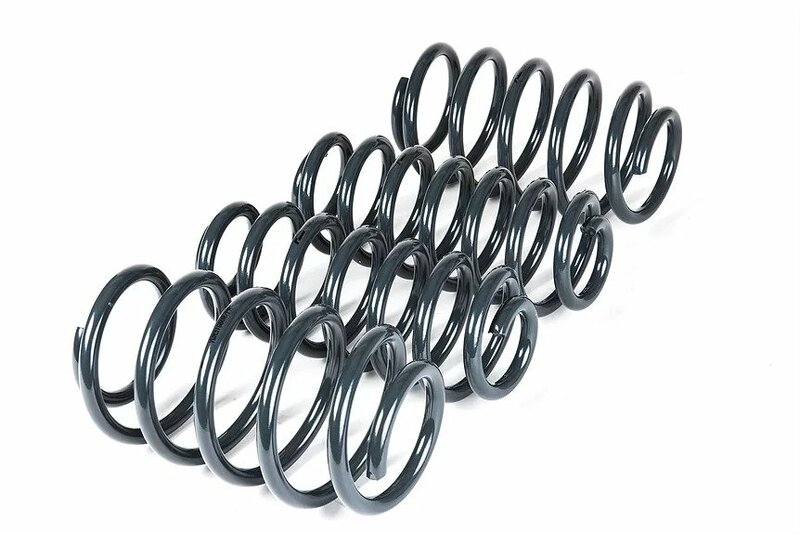 The Sport Springs are developed to be fully compatible with cars fitted with Audi’s switchable Adaptive suspension and the regular S Sports Suspension. Unlike many, our S4 Sport Springs have only been developed for S4. Meaning no compromise for your car. 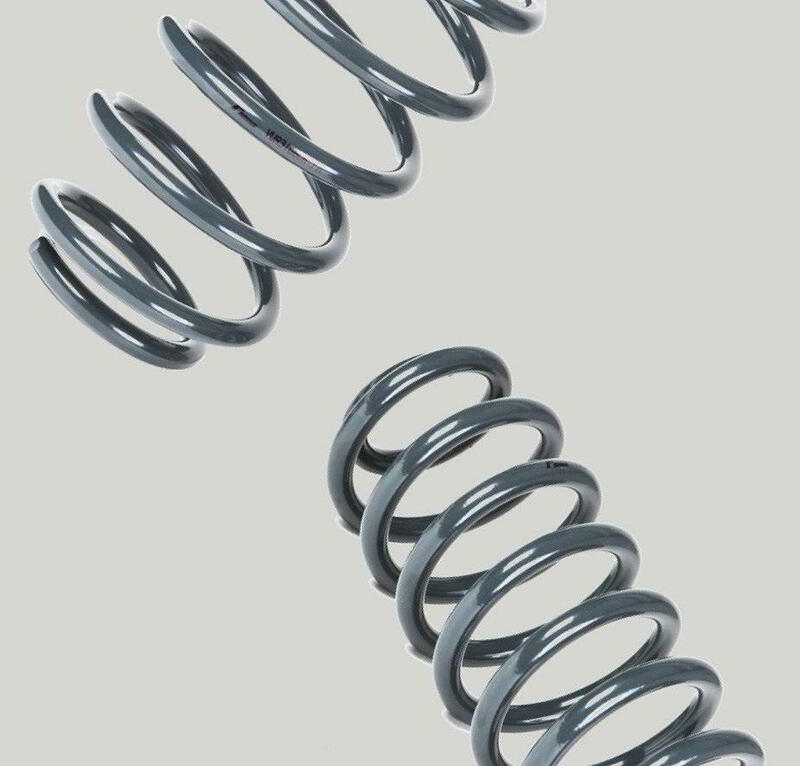 Go lower or stiffer than our springs and your car will bounce and crash as the dampers are mismatched to spring-rate, and the springs themselves run out of travel. RacingLine’s progressive-rate spring construction means the spring rate in the middle of travel is very similar to standard. 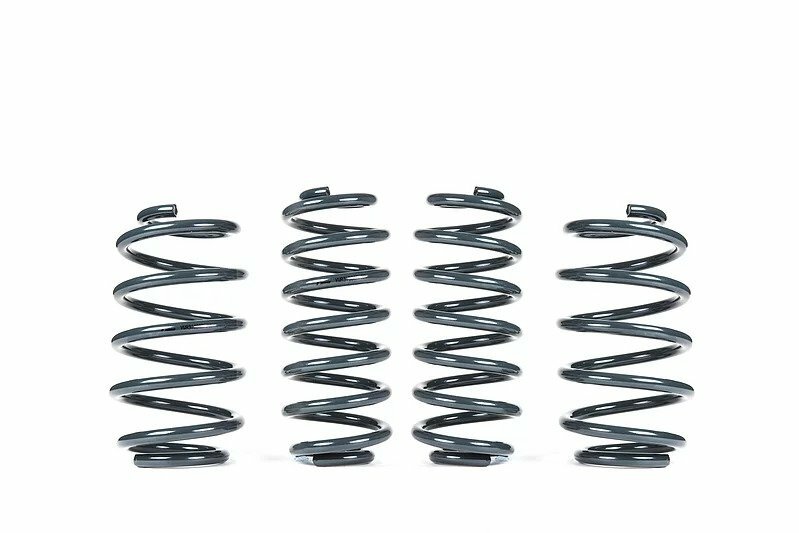 It’s only towards the end of the spring’s travel (so, when braking or cornering hard) that we have engineered the spring to stiffen up. It’s this progressive-rate spring design that gives such good ride quality. Want to sharpen up your Audi B9’s handling responses and steering feel? Our beautiful new billet Strut Brace reinforces the bodyshell for a more pleasurable and precise drive. Cool, sharp and positive changes are guaranteed from our replacement S-Tronic blades for Audi B9. Look great, feel great with precision shifting. The new 3.0 TFSI turbocharged engine really benefits from a boost in engine efficiency using our TriFoam™ High Flow Intake Filter.